Reporting back from the stunning Margaret River region, it’s here where CinefestOz showcased some of the finest in Australian cinema this past weekend. With an array of films vying for a top prize of $100 000 (the richest for an Australian film festival) the competition was suitably fierce. And while only one film might have gone home with the gold, with that honour bestowed to David Gilmour’s Jirga (reviewed below), there were no real losers this year. Chronicling the agonising wait patients endure for life changing organ transplants, Dying To Live is a sobering watch. While the film takes a moment to find its footing, beginning with a somewhat awkward animation sequence, it’s not long before the film starts pulling at the heartstrings with first-hand accounts of individuals sitting on the organ donor waiting list. In recording their unwavering resolve to live under exceedingly unpredictable circumstances, documentarian Richard Todd remains gracefully unobtrusive in his reporting. He allows the stories stand for themselves and, as a result, Dying to Live stands as an impassioned call to action that is an essential watch. Summary: A heart-wrenching watch that’s also an impassioned call to action, Dying to Live is essential viewing. 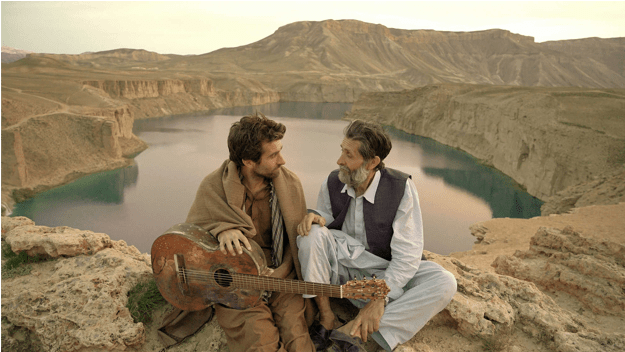 The winner of this year’s $100 000 grand prize, Jirga is a sincere and resounding look at post-war guilt and the power of forgiveness in seeking redemption for past sins. Filmed in throes of war-torn Afghanistan on a shoe-string budget, the film is understandably a little rough around the edges. However, the occasional stilted scene or moment of wooden acting can’t lessen the sheer achievement of what writer/director Benjamin Gilmour has managed to pull off under such difficult circumstances. Clocking in at a slim 78 minutes, the story is reserved and deceptively unassuming. It follows an Australian solider, Mike (Sam Smith), who returns to the Afghan village where he shot dead an innocent man three years before, in effort to reach the victim’s bereaved family and seek forgiveness. It’s a simple redemption arc that cuts deep thanks to its careful examination of cultural differences and the power of forgiveness in bridging these cultural gaps. The strength of its message and the sincerity in which it is told make Jirga an agreeable winner of CinefestOZ 2018. Summary: Shot under difficult circumstances, Jirga understandably has some rough edges. However, as a careful examination of the power of forgiveness in bridging cultural gaps, Jirga is well defined. A mind bending thriller that’s part The Matrix, a shade of Groundhog Day and completely bonkers, Reaching Distance marks the arrival of a talent to watch in writer/director David Fairhurst. 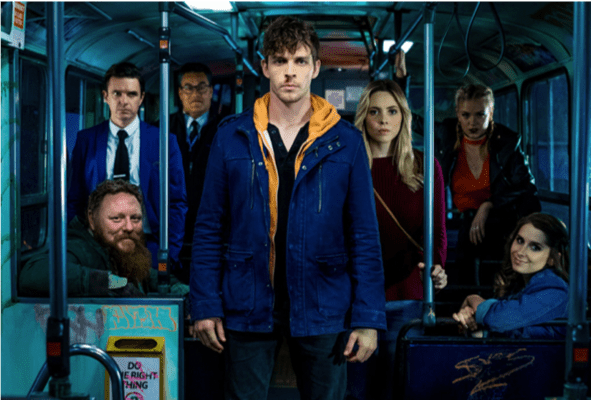 The film stars Wade Briggs (who resembles an Australian Sam Claflin) as a man with a photographic memory who stalks his sister’s killer onto a night service bus only to find that his grasp on reality becomes increasingly tenuous. Thorough the fractured sense of reality, the constant shifts in time and space squeeze an impressive amount of mileage out of the singular bus set. And while the story reveals its cards a bit too early, Reaching Distance remains consistently engaging with some stylishly shot action sequences and a hypnotic soundtrack. The result is a film bursting with creative energy, the type you can only get when everyone involved is fuelled by their passion in getting the project made. For their efforts, here’s hoping the film’s reaching distance extends as wide as possible. Summary: A mind-bending thriller that’s stylishly shot and engaging until the very end. Here’s hoping that the film’s reaching distance extends as wide as possible. The debut feature from writer/director Jason Raftopoulos, West of Sunshine received a warm reception when it premiered at the Venice Film Festival last year. Having seen it, it’s not hard to see why. The film’s portrayal of a divorced father desperately trying to break free from a vicious cycle of gambling and debt strikes an emotional chord that lingers long after the credits roll. It’s a testament to Raftopoulos’ tight script that West of Sunshine doesn’t get lost in a tangle of subplots and over-wrought dialogue that too many crime dramas fall trap to. The simplicity of the film’s story, with the narrative basically unfolding like an extended car trip between father and son over the course of one day, allows for West of Sunshine to prove itself as a quiet but affecting meditation on fatherhood. Summary: A quiet meditation on fatherhood, West of Sunshine’s success lies in its simplicity. In one of the more original takes on the romcom trope of a love triangle, The Pretend One follows the story of a woman whose relationship with a man is complicated by her imaginary friend, who has also developed feelings for her. It’s a funny and sweet natured story that carries appeal to younger and older audiences alike. However, the film suffers from a slight tonal inconsistency that may prove somewhat limiting for a younger demographic. As the film touches on some mature themes of love and loss, it feels geared towards a more adult audience despite the whimsical nature of the story. Even so, the surprisingly sophisticated screenplay, carried ably by the young cast, makes The Pretend One a deeper and more affecting experience than one would expect. The marketing department, however, has their work cut out for them. Also, a special mention must be made to the film’s beautiful cinematography. 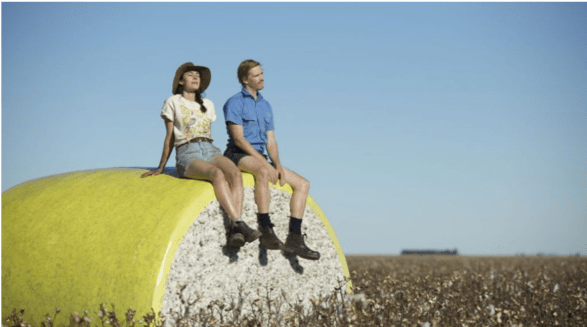 Shot amongst the cotton-fields of country-town Queensland, the film stunningly captures the effervescent beauty of regional Australian. It’s worth checking out on a big screen. Summary: A love triangle like you’ve never seen before, The Pretend One is disarmingly sweet and surprisingly deep.